Kow Essuman is an international lawyer in every sense, who specializes in corporate and commercial litigation and arbitration. He is qualified to practise in three different jurisdictions – England and Wales, New York State and Ghana. Kow obtained his Bachelor of Laws degree (LL.B. Hons) from the University of Westminster in 2007. While at university, he made the decision to become a barrister instead of a solicitor because there were fewer black barristers in England. He applied and was accepted into the Honourable Society of Lincoln’s Inn, one of the four Inns of Court. Every barrister trained in England and Wales was required to be a member of an Inn of Court. He then accepted an offer from BPP Law School, which was the top Bar School in England at the time. He completed BPP Law School with a Very Competent and was admitted to the Bar of England and Wales on 24 July 2008. In 2009, Kow obtained a Master of Laws degree (LL.M.) with Honors in International Mergers and Acquisitions and Financial Institutions, from Cornell University, one of the eight Ivy League institutions in the United States of America. He then took the New York Bar Exam in July 2009 and passed on a first attempt – a feat rarely chalked by foreign lawyers. According to the New York State Board of Law Examiners, the passing rate for all foreign educated candidates who took the examination was 38.5% while foreign educated first time takers was 46.2%. Kow was then admitted to the New York State Bar in January 2010 as an attorney and counselor-at-law. Kow has significant international legal experience. 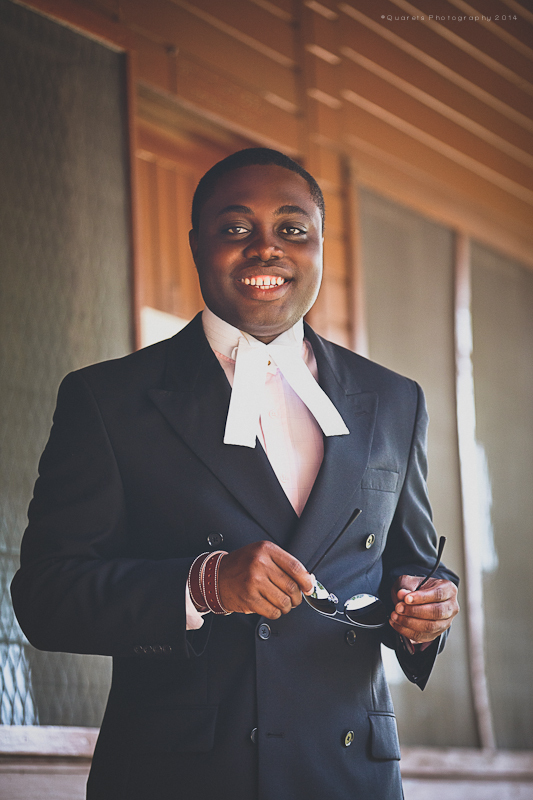 Before he returned to Ghana, Kow worked as a Law Intern at the Cornell Legal Aid Clinic for five (5) months where he successfully represented indigent clients in the New York State Courts and as a Legal Consultant at Dolphine Solicitors, a busy high street law firm, where he appeared before the Tribunals on behalf of his clients. He has also worked in a number of commercial law chambers including 3 Verulam Buildings and 3 Stone Buildings, both in London, U.K. and at the Royal Courts of Chambers advising litigants in person on procedure. He relocated to Ghana in October 2010. At the time, Ghana’s economy was vibrant and he wanted to contribute to shaping the commercial legal framework of the country. He returned to Ghana in October 2010 and joined the DLA Piper firm, Reindorf Chambers as a foreign associate. While at Reindorf, Kow undertook various corporate and commercial work, and conducted a major due diligence on a telecommunications company. He took the Ghana Bar Exam and was admitted to the Ghana Bar in October 2011. He joined Ghana’s leading law firm, Bentsi-Enchill, Letsa & Ankomah (“BELA”), after his admission to the Ghana Bar. He is a member of the firm’s Litigation and Dispute Resolution practice group. Kow has gained a wealth of experience since joining BELA and has represented a number of prestigious corporate clients including mining firms, telecommunication companies and real estate companies. He was recently led in representing a billion dollar hedge fund in New York to detain an Argentine Warship in Ghana because Argentina had defaulted on sovereign bonds. In addition to practising law, Kow worked with Web Legal Education to prepare students studying for their law degree in England; and with the New York Bar Company to prepare candidates around the world to take the New York Bar Exam. Kow also lectured the Law of Trusts at Zenith University College in Accra. Kow works as an Investment Consultant for LAK Investment Consult, an investment consultancy that focuses on small and medium enterprises in Ghana. Kow owns and runs a small laundry shop for students and the local community, Express Wash Limited, and a tech and media consultancy firm, Optimum Precision International Limited. In 2013, Kow was selected as a Global Shaper and is currently a member of the Accra Hub of the Global Shapers Community of the World Economic Forum. He serves on the Projects and Fundraising Committee of the Hub. In June 2015, he was selected as one of 80 Africans to represent the Global Shapers Community at the World Economic Forum on Africa in Cape Town, South Africa. Kow is passionate about development in Ghana and has spoken extensively on socio-political and economic matters affecting the youth and Ghana. In May 2015, Kow was featured in the Future of Ghana’s 30 Under 30 Maiden Edition and was described as “Internationally Known And Locally Accepted.” In June 2015, he was featured on the front page of the widely read Business and Financial Times under a story titled “Smart Suits, Fine Legal Brains.” He has appeared on various radio and television shows including Speak Up, an anti-corruption advocacy show on ETV Ghana, and Just The Law, a show that educates the public about the law, which is currently showing on Viasat One.